A majority of Formula One’s grand prix promoters issued a statement on Monday expressing concern about how the sport is being run by owners Liberty Media. The Formula One Promoters’ Association (FOPA) said representatives of 16 grands prix had met in London to discuss the situation ahead of the 21-race season starting in Australia in March. “It is not in the long term interest of the sport that fans lose free access to content and broadcasting,” it said in a three-point statement. “There is a lack of clarity on new initiatives in F1 and a lack of engagement with promoters on their implementation,” added the statement. “New races should not be introduced to the detriment of existing events although the association is encouraged by the alternative business models being offered to prospective venues,” it concluded. FOPA said members wanted “a more collaborative approach” as well as “the opportunity to offer their experience and expertise in a spirit of partnership with Formula One and the (governing body) FIA.” The chairman of FOPA is Stuart Pringle, managing director of Britain’s Silverstone circuit that hosted the first championship grand prix in 1950. Silverstone is one of five circuits out of contract after this season, the others being Germany’s Hockenheim, Italy’s historic Monza track, Barcelona’s Circuit de Catalunya and Mexico City. Only one race, the British Grand Prix, will be broadcast live and free-to-air in Britain this year with the rest on Sky Sports pay television. While there are no new races in 2019, Vietnam is lined up for a race in Hanoi from 2020 while a possible Miami Grand Prix remains on the cards as a second U.S. round with Austin. 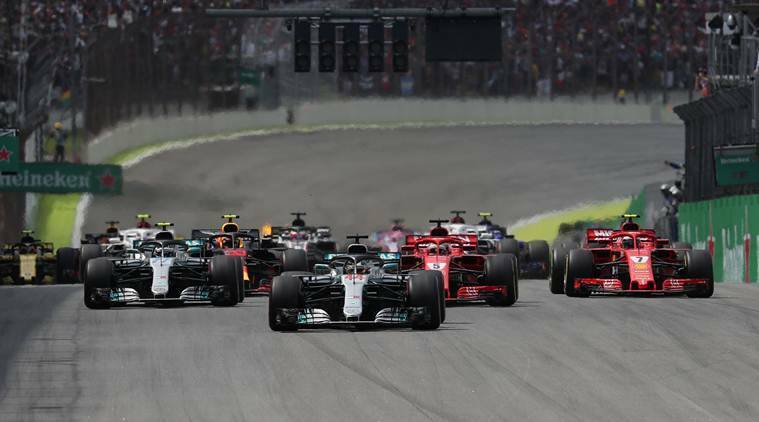 Formula One recently trumpeted a rise in worldwide audience figures across television and digital platforms in 2018. Sean Bratches, Formula One’s managing director for motorsport, said last November that the sport valued and wanted to keep its ‘heritage races’ but it also had to operate like a business. “Nothing is immutable in this sport in terms of where we race,” he added.